The AD Assistant is an Active Directory companion that is used by Systems Administrators and support teams to perform common tasks very quickly. This can very useful for repetitious tasks. 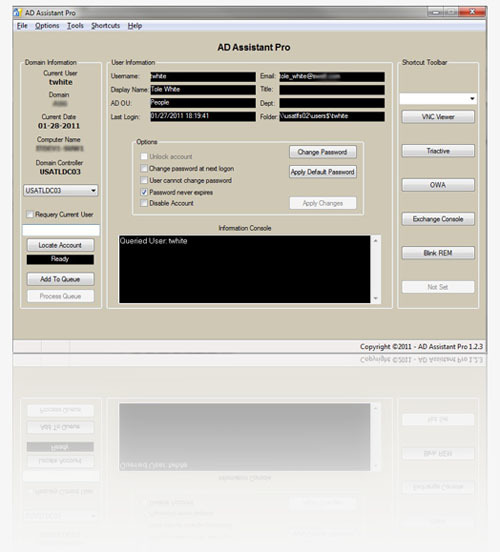 With this application, there is no need to have ADUC/AdminPak installed on the PC. Please see a list of features here for more info.